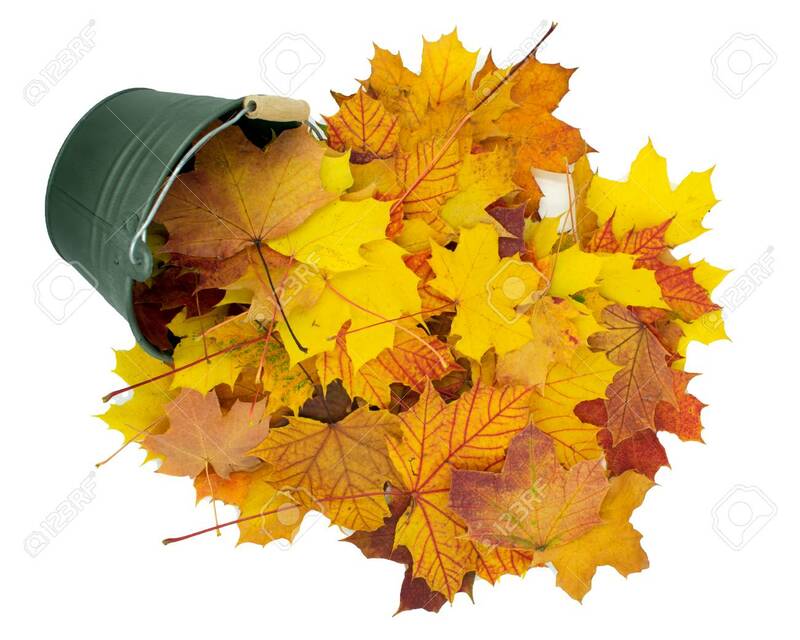 Small Bucket Falling From The Colorful, Autumnal Leaves. Isolated On White Lizenzfreie Fotos, Bilder Und Stock Fotografie. Image 110710147.